In 2006 Annemarie Mink (1980) graduated on the re-design of a Tasar silk reeling machine for rural women in eastern India. After graduation she continued working on the development of this machine, on behalf of the Dutch NGO ICCO, and in collaboration with the Indian NGO PRADAN. Then, Annemarie worked 2 years for an engineering and consultancy company before returning to the faculty of Industrial Design Engineering as a PhD candidate. Her interests lie in responsible ‘Design for Development’ and focuses on understanding and involving the end-user from the start of a design project. The work presented on this website is the result of her PhD project. 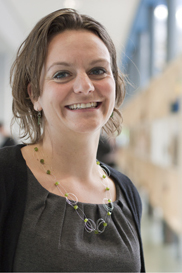 Currently, Annemarie works as a Postdoctoral Researcher at the faculty of Civil Engineering and Geosciences of Delft University of Technology, the Netherlands on developing small-scale piped water supply systems in India and Bangladesh. After finishing his study in Industrial Design Engineering, Johan Carel Diehl (1969) worked several years as consultant in Ecodesign. He currently works at the Design for Sustainability (DfS) research program at Delft University of Technology (DUT) as an assistant professor. Within the DfS program he is managing the international projects on sustainable product innovation especially in emerging markets. Since 2004 the main focus of his research is on ‘Design for the Base of the Pyramid (BoP)’ and has he been involved in over 100 BoP projects mainly in Asia and Africa (i.e. Philips, Procter and Gamble, Microsoft, PeePoople, Tough Stuff, Kiva and Kamworks). Next to his position at DUT he is consultant for UNIDO and UNEP and invited lecturer at universities in amongst others Portugal, Colombia, Mexico, Turkey, Japan and Austria. He is co-author of the UNEP Design for Sustainability manual for Developing Economies (D4S-DE) and the Design for Sustainability Step-by-Step (D4S-SBS) manual. Moreover, he is part of the steering committee of the Delft Global Initiative and collaborates with the LDE Centre for Frugal Innovation in Africa. Prabhu Kandachar is Emeritus Professor of Industrial Design Engineering with focus on Sustainable Materials, Manufacturing Technology and Design for Development. He is born and educated in India, with Masters and PhD degree in Engineering, at the Indian Institute of Science, Bangalore. Later at Delft University of Technology, the Netherlands, he worked for a period of 5 years at Delft from 1975, on environmentally friendly technologies. Between 1980 and 1995, he worked at Fokker Aerospace, near Amsterdam in various technical & management positions involving aerospace design. Since 1995, he is with the Faculty of Industrial Design Engineering (IDE) at Delft University of Technology. Since Jan 2012, he is an emeritus professor at Delft University of Technology. He has been extensively involved in projects involving students and businesses to identify opportunities as well as to design & prototype products and services for the marginalised and disadvantaged. Issues covered include sustainable materials, water, healthcare, energy, housing, etc., in countries like India, Indonesia, China, Brazil, Ghana, Tanzania, Honduras, Philippines, Pakistan, Madagascar, etc. The Netherlands Organization for Scientific Research (NWO). The research leading to the development of the CDD approach was made possible by the Netherlands Organization for Scientific Research (NWO) under grant number 2009/06098/GW. Dr. V.S. Parmar of the National Institute of Design, India. Vikram has contributed greatly to the research presented in this thesis. Delft Institute for Values. This institute supported the establishment of this online platform. Delft Global Initiative. This institute supports all Design for Development projects that have been or are executed at Delft University of Technology. Vinay Bhajantri. Vinay took the lead in designing and developing this online platform. Stefan Blonk, Studio Blonk. Stefan developed the step-by-step illustration which visualises the CDD approach on this online platform.